The sculpture “Mirror Ball” was realized in 2010 the context of the Art Site, a sculpture park around Växjö Lake. 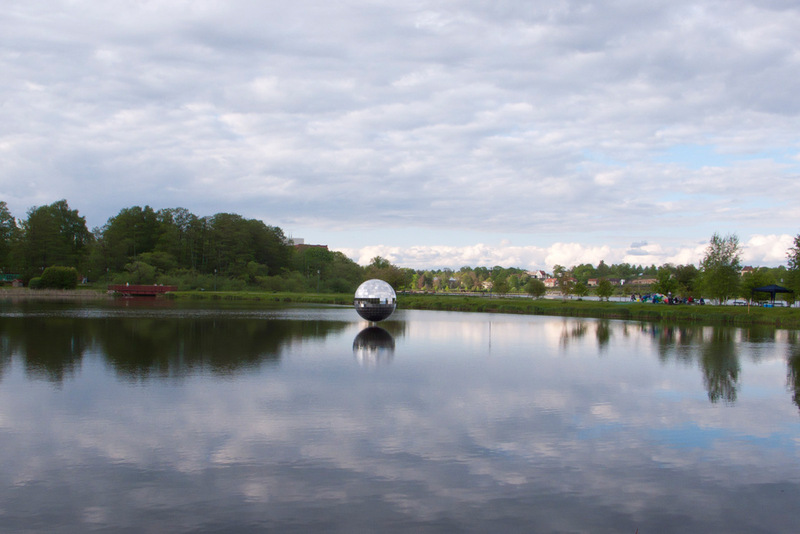 In the middle of the lagoon, an equalizing reservoir of Växjö Lake, the sculpture slowly rotates on its axis, whereby the reflections on its surface create a constantly changing image. 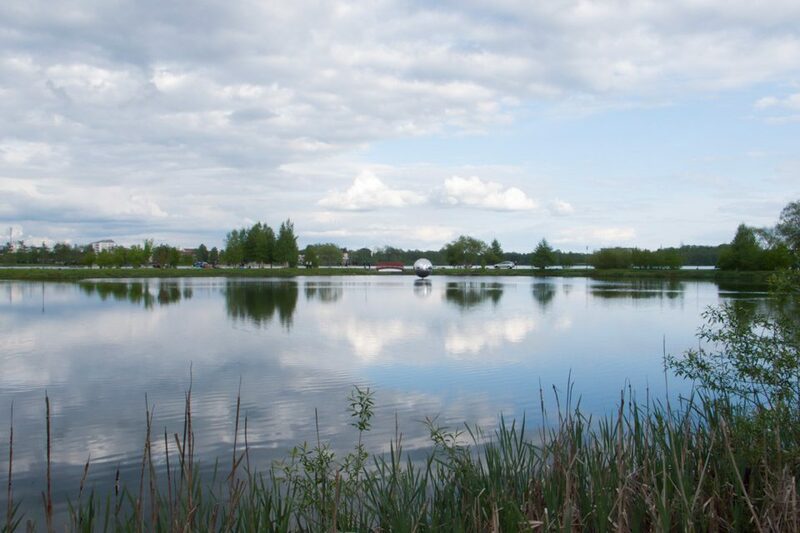 When darkness sets in, the object is gently illuminated with a spotlight. 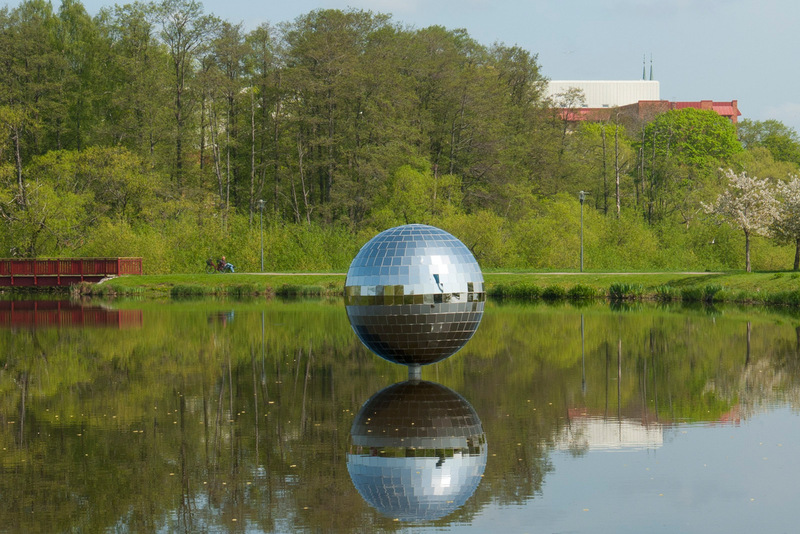 The calm rotation in connection with the always changing reflections unfolds a meditative atmosphere and turns the sculpture into a magical center for the site. Phenomena of nature, like changing cloud formations, sunshine, and the motion of the water, become an integral component of the work. 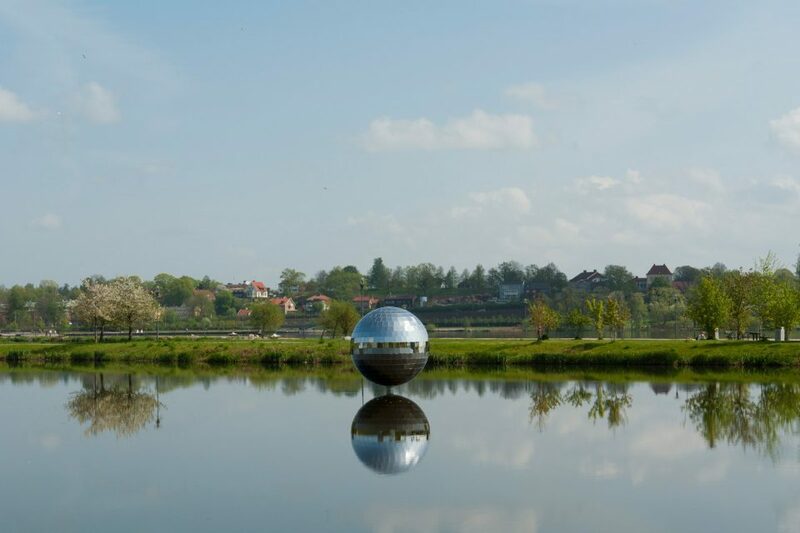 In the open air and in the middle of the lagoon, the function of the mirror ball is reversed – from the lighting effects for a music-drenched discotheque to a quiet dialog with the natural surroundings.